A brand new edition of the long unavailable children's story, written and illustrated by the author of The Hobbit and Letters from father Christmas, with newly scanned manuscript pages and redesigned text. Now available as an audio edition. Professor J.R.R. 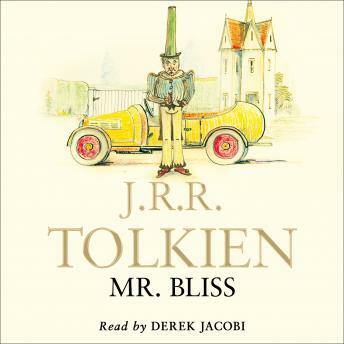 Tolkien invented and illustrated the book of Mr Bliss's adventures for his own children when they were very young. The story is reproduced here exactly as he created it - handwritten with lots of detailed and uproarious colour pictures. This is a complete and highly imaginative tale of eccentricity. Mr Bliss, a man notable for his immensely tall hats and for the girabbit in his garden, takes the whimsical decision to buy a motor car. But his first drive to visit friends quickly becomes a catalogue of disasters. Some of these could be blamed on Mr Bliss's style of driving, but even he could not anticipate being hijacked by three bears.